This is Part 2 of Getting High in Orlando, one of our articles in a series on travel to Florida. If you haven’t read Part 1, here is the link. 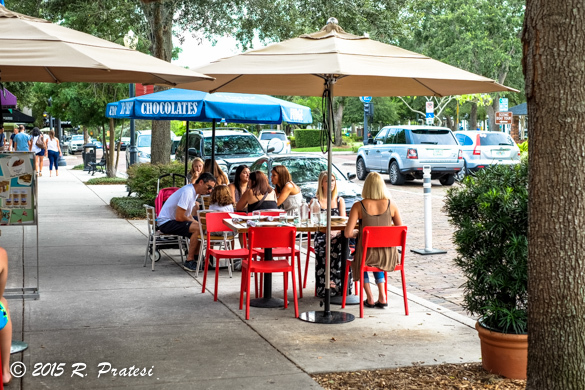 When you come back down to earth and are ready to venture our for dinner, Orlando has an impressive and long list of excellent dining options from casual eateries to James Beard nominated restaurants. One of the biggest names in food television, Iron Chef Morimoto, just opened Morimoto Asia in Disney Springs today. 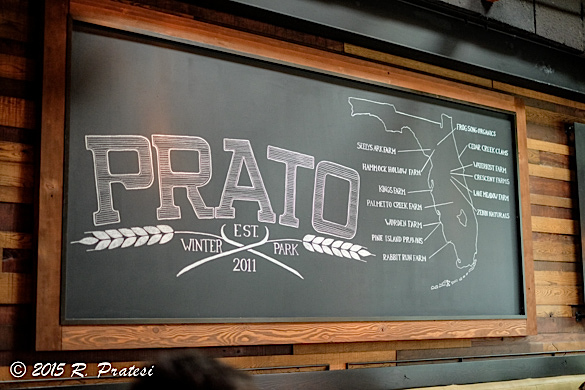 In addition to dining at the Omni Orlando Resort at ChampionsGate (see Part 1 of Getting High) and a few casual spots, here are two of the restaurants we were most impressed with during our stay in Orlando. 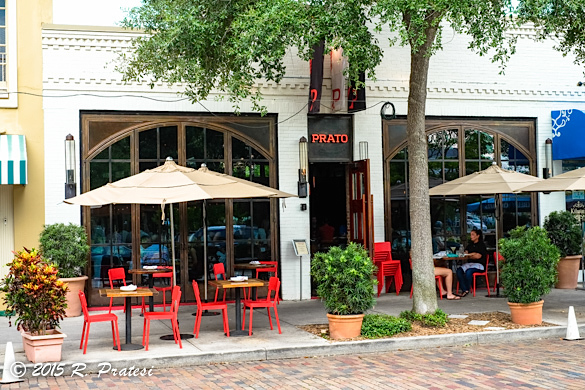 Prato – Take a trip to Winter Park for the day to stroll along Park Avenue, shop in the boutiques, and perhaps grab a light lunch, but save your real appetite for a delightful evening and dinner at Prato. 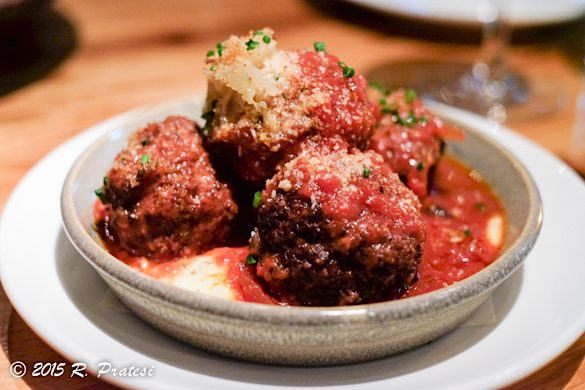 This lively Italian restaurant with its rustic, yet contemporary interior, features a long bar at the core of the space with expertly prepared cocktails. 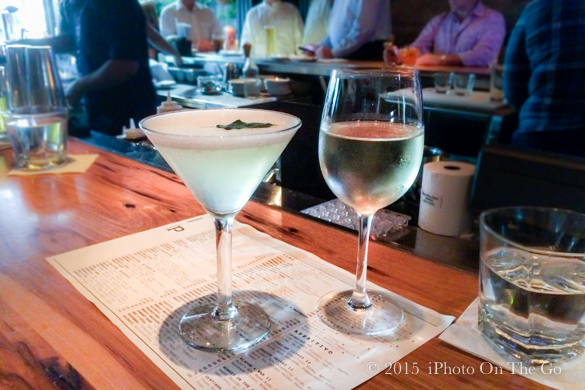 Start the night at the bar with a cocktail or glass of wine, but then be sure to reserve a table in advance to enjoy excellent handcrafted Italian food inspired by local and seasonal ingredients prepared with traditional and contemporary techniques. 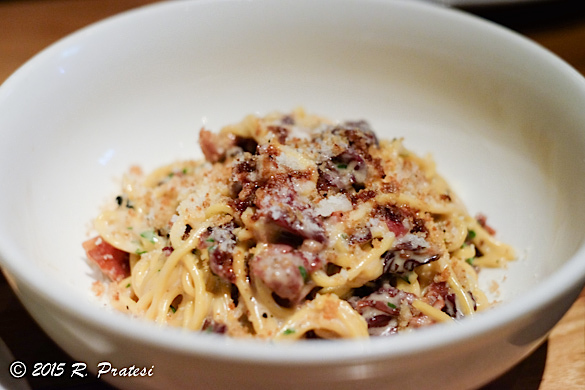 One of the best Italian meals we’ve had in a long time, there were many outstanding dishes including their meatballs, Veal Scaloppine, and homemade pastas, particularly the Mustard Spaghettini Cacio E Pepe and a squid ink pasta. 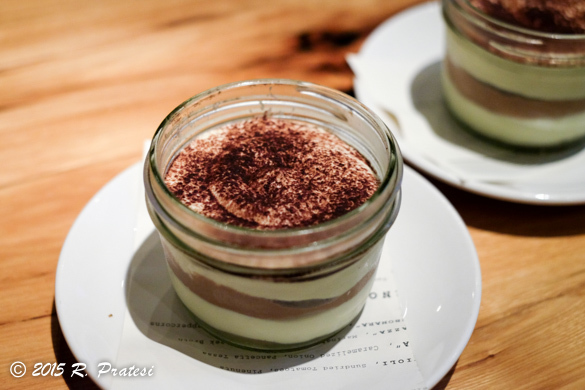 Their version of Tiramisu, served in a small Ball jar, was a particularly delicious rendition of the classic dessert. 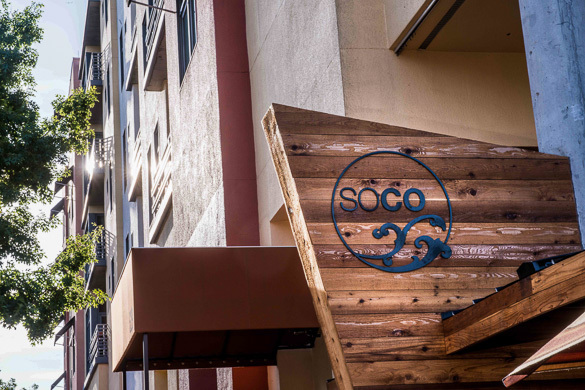 Soco Restaurant – Located on the outskirts of downtown Orlando, this restaurant features contemporary Southern cuisine and is the 2015 Winner of the coveted titles of both Best New Restaurant and Best Chef in the Orlando Magazine Dining Awards. Housed in a beautiful and bright wood and glass filled space, the menu had so many delicious choices we decided to order a selection of small plates and main courses to share. 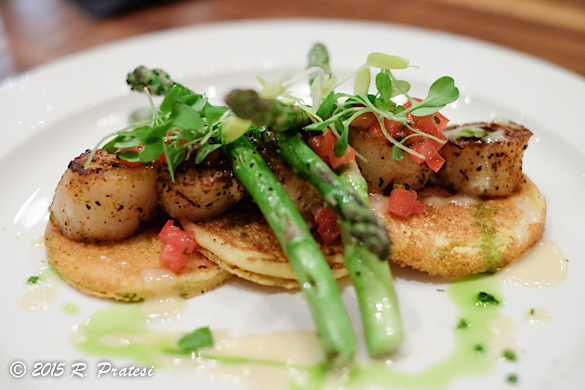 One of the dishes we selected was a special addition to the menu that evening, Pan Seared Scallops served over Johnny Cakes and finished with a delicate beurre blanc and scallion oil. Another entree, and one of their signature dishes, was Grilled Meatloaf with Lobster Mashed Potatoes. Perfect for sharing, this rich dish starts with their famous meatloaf made with a special blend of beef, veal, and pork. 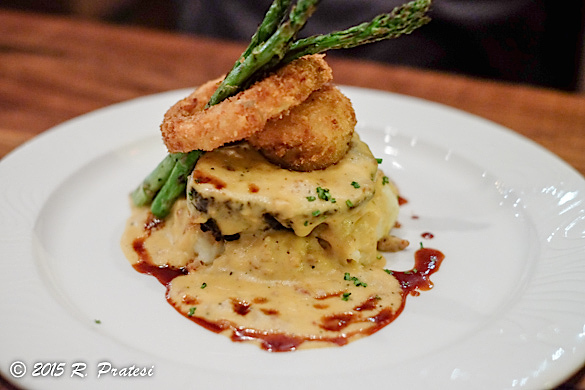 Served over lobster mashed potatoes, it’s topped with a combination of demi-glace and smoked Vidalia onion & Andouille gravy and garnished with crispy onion rings and grilled asparagus. Some of the other highlights of our dinner included their Florida Sweet Corn Bisque with Crispy Benton’s Country Ham, a delicious summertime inspired soup. 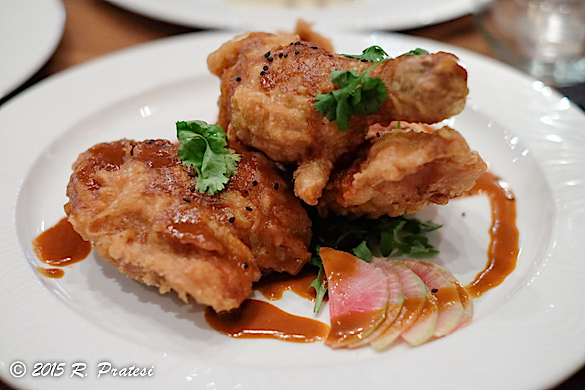 We also enjoyed the spicy and sweet Lake Meadows Korean-Style Fried Chicken and a hearty vegetarian Chicken-Fried Cauliflower “Steak” with asparagus, artichoke, and garlic mashed potatoes served with vine ripened tomato gravy. 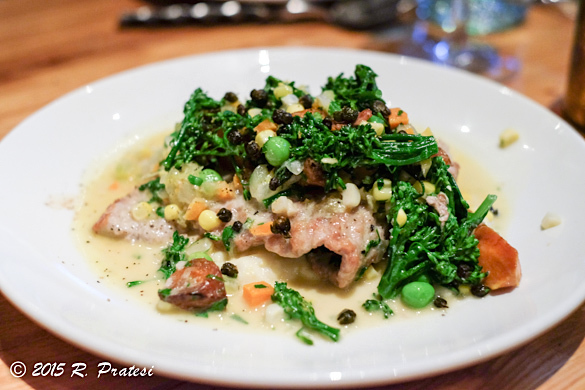 With their focus on updated Southern classics and seasonal ingredients, their varied menu will please even the fussiest eaters. 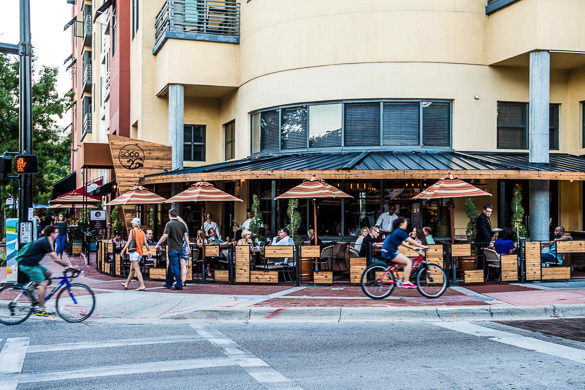 Orlando has something for everyone, including those seeking romance, adventure, and excellent dining. The weather is fine all year round, in fact, as mentioned earlier, it was cooler in Orlando than it was in Atlanta while we were there this summer. Depending on the time of year, you can get very reasonable hotel rates, particularly when the kids are back in school and it’s the shoulder season. 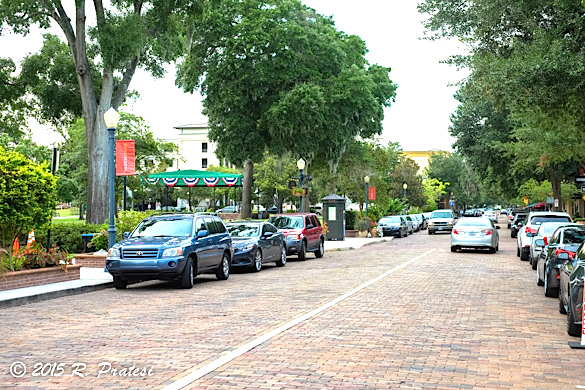 And for the most part, these activities don’t require standing in long lines under the warm Florida sun. 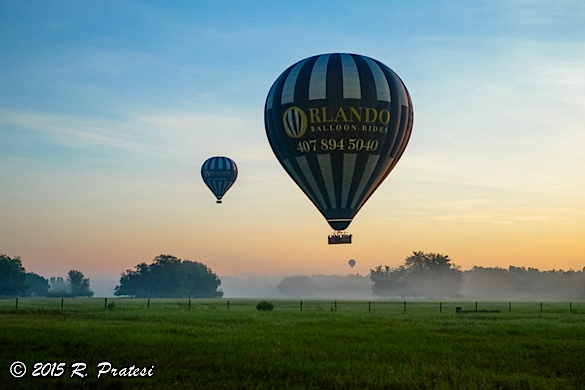 Think outside the box, get out your Bucket List, and plan a trip to Orlando. This content is protected under International Copyright Laws. 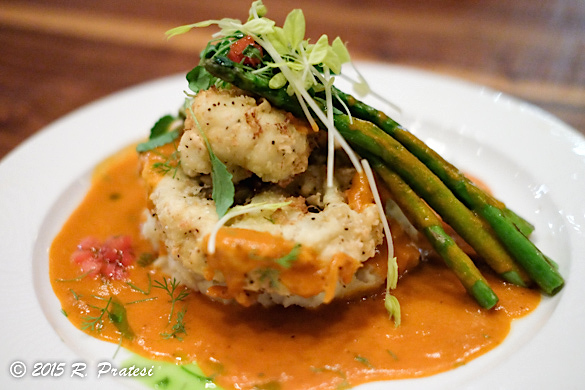 Bunkycooks provides this content to its readers for their personal use. No part (text or images) may be copied or reproduced, in whole or in part, without the express written permission of bunkycooks.com. All rights reserved.